Keene State College awarded more than $21 million in financial aid to its students for the 2014-2015 academic year. Ninety-two percent of KSC students receive some type of financial assistance. The average freshman financial aid package is $11,636. Twenty-five percent of KSC students qualified to receive the Pell Grant, with the average grant amount coming to $3,970. All admitted students are automatically considered for merit-based scholarships. These scholarships include the following: Presidential Scholarship ($5,500 in-state, $9,000 out-of-state), Dean's Scholarship ($4,500 in-state, $7,000 out-of-state), Enrichment Scholarship ($3,500 in-state, $6,000 out-of-state), and the Leadership Scholarship ($2,000 for both in-state and out-of-state students). Academic talent grants are available for art, music, and theater. Grant amounts are up to $3,000 each. The Granite State offers its residents a multitude of funding opportunities to earn their college degree without accumulating a lot of debt. If you’re thinking of attending college in New Hampshire, you will find numerous private and federal financial aid programs that not only make college affordable, but downright cheap in some instances. And New Hampshire works hard to give its residents all the financial help they need to start on the right foot. New Hampshire does not offer college students a statewide articulation agreement. However, most New Hampshire colleges and universities offer articulation agreements with each other and with community colleges. But because there are no statewide standards for transfer, students must plan ahead with specific transfer agreements or guaranteed transfer programs, including the NH Transfer Connections Program. College students in New Hampshire are advised to investigate transfer options early, as your intended major for a four-year degree may influence the general education courses you should take at a community college. Find out which prerequisites will be a part of your specific major. With the NH Transfer Connections Program, high school seniors can begin their college courses at Granite State College or a Community College System of New Hampshire campus. The program includes guaranteed transfer admission, housing guarantee benefits, lower tuition fees and costs, and individualized transfer counseling for admission to selected four-year colleges and universities in New Hampshire. Students can view how credits will transfer between colleges and universities using the NH Transfer database. To plan your course work with transferring in mind, visit the NHTransfer website to view transfer agreements and recommended transfer programs. The first step in your journey to an affordable college education begins with the FAFSA, or the Free Application for Federal Student Aid. After completing the FAFSA, visit the New Hampshire Higher Education Assistance Foundation website for information on the college application process, scholarship opportunities, student loans, and college planning events held throughout the state. 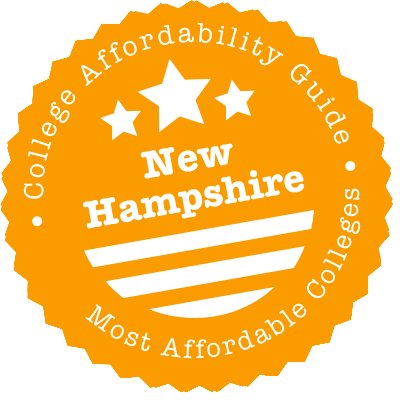 New Hampshire offers several college funding options for which you may easily qualify. Generous scholarships are earmarked for students pursuing health-related studies, engineering programs, and modern fields of study that focus on improving and enhancing shared public space. The 9th state of the Union is out to prove that when it comes to college education, you can use “cheap” and “good” in the same sentence. Summary: Applicants can receive grants of up to $7,500 if they qualify for this program. Applications are accepted throughout the year. Visit the website or call the Center for College Planning at 1-888-747-2382 (Extension 119) for more information. How to Apply: This program is administered through the financial aid office at participating New Hampshire institutions. Contact the financial aid office at the college you plan to attend for application instructions. Summary: This program assists New Hampshire residents who wish to pursue a veterinary science degree. Awards of up to $12,000 a year are available. The University of New Hampshire College of Life Sciences and Agriculture administers the program. How to Apply: Contact the program administrator at 603-862-2726. Summary: Award amounts for this scholarship vary from year to year. The program provides financial support to applicants pursuing an advanced practice nursing program. A letter of recommendation from a teacher or current employer is required, as well as a 250-word essay on why you chose to pursue a career in the nursing field. A maximum of four awards are given annually. How to Apply: Download the application form and apply at the scholarship’s website. Attach the required documents (letter of recommendation and essay) with your application. Summary: This scholarship is for students with demonstrable leadership capabilities. Awards are $2,500 each. Students who make it to the semifinal list will be interviewed. Summary: Established by the Foundation for Seacoast Heath, this scholarship awards up to $5,000 per student each year. Applicants must be enrolled in an accredited program in the health field. Applicants must also submit a personal essay that describes their career goals, personal goals, and community involvement. How to Apply: Download the application form from the scholarship’s website and follow the instructions for submitting the application. Summary: This scholarship is for those who plan to work in the horticulture field or the nursery industry after completing their educational program. There are currently seven scholarships available. Awards are up to $3,000 (Timothy S. and Palmer w. Bigelow, Jr. Scholarship) and $4,000 (Carville M. Akehurst Memorial Scholarship). A personal essay, two letters of recommendation, the transcript of records, and the FAFSA are required. How to Apply: Visit the scholarship’s web page and follow the application instructions. Summary: The New Hampshire Charitable Foundation administers several scholarships that provide multiple educational funding opportunities for New Hampshire residents. These include the Bank of New Hampshire Leap Scholarship ($2,500), the Career Aid for Technical Students program ($3,500), and the New Hampshire Statewide Student Aid Program ($3,500), to name a few. Eligibility: Each scholarship has a specific set of eligibility requirements. Visit their website for more information. How to Apply: Follow the application process on the website for the scholarships for which you wish to apply. Summary: Preference for this funding opportunity is given to New Hampshire students who plan to pursue an engineering program at a New Hampshire college or university. The program must be accredited by the Engineering Accreditation Commission of the Accreditation Board for Engineering and Technology (ABET). Students pursuing degrees in general civil, structural, mechanical, and electrical engineering will be given priority. Scholarships are a minimum of $1,000 each year. How to Apply: Download and complete the application form and submit all the required documents through the scholarship’s web page. Summary: This funding is for New Hampshire students who are pursuing programs aimed at improving public space in New England. Applicants must have a serious and committed interest in some aspect of the built environment and its economic and social impact on the community. Applicants must also have completed at least one semester of a two- or four-year program (at the undergraduate or graduate level) before they can be considered for this program. Qualified students can receive scholarships of up to $5,000 each. How to Apply: Download the application form, complete it, and send it (with the other required documents) to either the street or email address on the form. Summary: This scholarship is administered by the Humane Society of the United States for New Hampshire students with a history of direct work on behalf of animals. Awards can be up to $3,500. This program does not consider high scholastic achievement or financial need in the final deliberation of scholarship recipients. Eligibility: Along with being New Hampshire residents, applicants must be able to demonstrate and provide documentation of their long-standing participation and leadership in the field of animal advocacy and/or protection (such as speeches, papers, or presentations on relevant humane topics). How to Apply: Applications must be written in a letter form and include the following (along with basic contact information): narrative of applicant’s activities and achievements on behalf of animal protection, plans for future animal protection work, and discussion of applicant’s attitude toward animals. Send three letters of recommendation with the letter of application to: The Humane Society of the United States, c/o Human Society Academy Shaw-Worth Memorial Scholarship, 1255 23rd Street, NW, Suite 450, Washington DC 20037. Summary: This scholarship is reserved for academically outstanding entering freshmen who are pursuing their first bachelor’s degree. Students enrolled in two-year certificate or associate’s degree programs do not qualify. Awards range from $3,000 to $10,000 per student annually. How to Apply: The application instructions are on this page. Summary: This funding opportunity is available from the Foundation for Seacoast Health and is for students pursuing a bachelor’s degree in a health-related field. It covers the same geographic area as the Edwina Foye Award for Outstanding Graduate Student scholarship and awards up to $5,000 per student annually. How to Apply: Download the application form from the scholarship’s website and follow the instructions for submitting the completed application form. Summary: This program provides funding in the form of forgivable loans to all qualified staff attorneys employed by the organizations listed below. The award amount is determined after all applications from interested employees have been received and the yearly allocation of program funds has been decided upon. Eligibility: Part-time and full-time attorneys employed by the following organizations are eligible. New hires must indicate their desire to participate in the program within 30 days of their employment start date to be considered for assistance within the loan program year (July 1 to June 30). How to Apply: Applications are processed by the NHLA financial office, which distributes forms to all staff attorneys at the NHLA, LARC, DRC, and the New Hampshire Pro Bono referral program. Submit all the required documents/information to NHLA financial office by the due date. Summary: Administered by the Rural Health & Primary Care section of the Division of Public Health Services, this program provides funds to health care professionals who practice in designated medically under-served areas of the state. Applicants can commit to the program either full-time (36 months) or part-time (24 months). Their loan repayment benefits will be equivalent to their preferred service obligation. How to Apply: Download the application, complete it, and send it with all required documents to: N.H. Division of Public Health Services Rural Health & Primary Care Section, 29 Hazen Drive 2E, Concord, NH 03301-6504. Summary: This scholarship can only be applied to private and public colleges in New Hampshire. Awards vary and are dispensed directly to the college or university that the beneficiary indicates on his or her application. Eligibility: You must be a New Hampshire resident and a National Guard member in good standing. How to Apply: Download the scholarship application from the website and follow the instructions. Summary: Applicants can receive up to $4,000 a year in benefits. There is, however, a per-credit cap of $250. Eligible students can attend out-of-state colleges and apply this funding to the college or university of their choice. Students must submit an application for every year they wish to be considered for the program. Eligibility: Along with being a New Hampshire resident, you must also be qualified to apply for the Federal Tuition Assistance program. How to Apply: Apply on the website or call the Education Office at 603-225-1312 for more information. Summary: This tuition waiver can only be applied to a New Hampshire college or university. Full and partial tuition waivers are available. Eligibility: You must first apply for the Federal Tuition Assistance program to be considered for this opportunity. How to Apply: Download and complete the application on the website. Summary: This program is funded by the State of New Hampshire. It provides up to $2,500 per year for qualified applicants who plan to attend a New Hampshire college. The scholarship can be renewed for three additional years. How to Apply: Download the application form, complete it, and mail it to: N.H. Department of Education, Division of Higher Education – Higher Education Commission, 101 Pleasant Street, Concord NH, 03301. Summary: This is a program that allows residents of the six New England states (Connecticut, Maine, Massachusetts, New Hampshire, Rhode Island, and Vermont) to save on tuition when they attend an out-of-state New England public college or university. Students must enroll in a degree program that is not offered in their home state. The typical average savings is as much as $7,000 each year. There are more than 800 associate, undergraduate, and graduate degrees included. More than 80 public colleges and universities throughout New England participate in the program. How to Apply: There is no separate application required. Just clearly indicate that you are applying for RSP status on your college admission application and provide the necessary information. Summary: Full tuition waivers for former foster care youths are provided by this program – a partnership of the New Hampshire Division for Children, Youth and Families, the University System of New Hampshire, and the Community College System of New Hampshire. Qualified applicants can apply the tuition waivers to any certificate, associate’s degree, or bachelor’s degree program offered by the participating institutions. Recipients must apply for this assistance every year that they are enrolled in a valid educational program. How to Apply: Download the application form from the website and mail the completed form to: Division for Children, Youth and Families (Adolescent Program Specialist), John H. Sununu Youth Services Center, 1056 North River Road, Manchester NH, 03104. After you’ve narrowed your list of affordable New Hampshire colleges, it’s time to find ways to live cheaply enough so you can work for your degree and meet your other expenses. This may be a challenge, especially if you’re struggling to take care of a family at the same time, but there is help available, so don’t give up on your college plans. Begin your search for help at the New Hampshire Department of Health and Human Services (DHHS). You will find a wealth of information about the various programs and services for which you and your family may qualify. Whether you need help locating an affordable child care facility near your home, emergency financial assistance, or health insurance for young people (such as yourself), the DHHS website can get you started. You can even apply for their services online. If you need to talk to someone (or if you can’t go online), you can call 2-1-1 24/7 to receive help. The New Hampshire 2-1-1 program has experienced and knowledgeable volunteers who can direct you to the organization or department that can best serve you. Earning your college degree in New Hampshire means you are never truly alone in your effort to stay in school and provide adequately for yourself and your family at the same time. Help is always just around the bend. A majority of colleges and universities nationwide require first-year students to live on campus. While this has its advantages (safety, proximity to classes, varied meal plans, etc. ), there are precious few college scholarships that include the cost of housing, whether on or off campus. However, the New Hampshire Scholarship for War Orphans of Veterans is a funding opportunity that allows recipients to use some of the money to cover on-campus housing costs. Also, if you qualify for the Pell grant or G.I. bill benefits, you can use a portion of the money you receive to help pay for your housing while you’re enrolled in a college or university as a full-time student. More and more universities are beginning to realize that an increasing number of college students do not fall under the typical fresh-out-of-high-school-teenager category. For example, along with traditional residence halls, the University of New Hampshire offers on-campus apartments for older students who wish to live independently, and even accommodations for students with families. The Lakes Region Community College and Saint Anselm’s College offer similar options as well. On-campus apartment-style residences come with a full-size kitchen, so you can save quite a bit of money in the long run by cooking your own meals instead of enrolling in a meal plan. Also, keep in mind that living on campus means your wireless Internet, cable TV, utilities, and oftentimes your local phone service, are built-in costs. If you were to have these services installed in an off-campus apartment, you would typically have to give a deposit, plus pay a connection or installation fee. While this may not amount to much, you’re still spared the expense. And when you’re on a tight budget, even a small amount helps. You can compare the cost of living on campus versus living off campus by using helpful online tools such as Calcxml.com. You may also want to drop by the financial aid office at your university to find out if there are any little-known private scholarships or work-study programs for which you qualify. You can use the added funds to help pay for your on-campus lodging. If you’re ready to move out of your college dorm and into the so-called “real world” by living off campus, a good place to begin your search is in the student services office of your college or university. For example, the Office of Student and Community Relations at Keene State College provides students with helpful resources to aid them in their search for safe and affordable off-campus lodging. The University of New Hampshire Commuter Student Services offers a similar type of assistance, as does MCPHS University, Manchester. There are websites you can explore as well, such as ApartmentGuide.com and RentalGuideApartments.com. Abodo.com/ specializes in helping students locate available rental units near colleges and universities throughout the country. Remember to watch out for scams; if a deal sounds too good to be true, it probably is. You can also find out if your income qualifies you to receive help from the New Hampshire Housing Finance Authority. They offer emergency housing services, can help you find affordable rental properties, and enroll you in the Section 8 Housing Choice Voucher Program. The U.S. Housing and Urban Development has interactive pages for every state that let you search for subsidized apartments. Because rents for these apartments are often lower than the fair market price, there will likely be a waiting list for them. Place your name on more than one waiting list to increase your chances of locating an apartment you can afford that’s close enough to the college or university you plan to attend. New Hampshire winters can test your endurance. When you are weighed down not only by layers of clothing in an effort to stay warm, but by utility bills that you can’t pay, contact the New Hampshire Office of Energy and Planning. They administer the federal Low Income Home Energy Assistance Program (LIHEAP), which in New Hampshire is called the Fuel Assistance Program. You can receive the help you need to pay your utility bills if you meet the income requirements. New Hampshire also has the Electric Assistance Program (EAP), which provides year-round discounts on a qualified client’s electric bills. Discounts can range from 8% to 76%, depending on your income and household size. Contact your local Community Action Agency to find out if you are eligible to receive the benefits of this program. Also, if you have a child and are facing the termination of your utility service due to non-payment, you may qualify for the Emergency Assistance Program. You can use this emergency assistance only once within a 12-month period, so make it count. A majority of full-time college students can use their university’s student health plan without having to pay for it separately. Most colleges allocate a portion of their student activity fee to cover health insurance costs for their students. This is the case at several Hew Hampshire colleges and universities, including the New Hampshire Technical Institute, the University of New Hampshire, St. Anselm College, and Dartmouth College. Some health services are free of charge, while others would require an out-of-pocket payment. Check with your college health center to find out the services they offer and if there is a fee. Bring a copy of your medical records, especially if you have a health condition, allergies, or if you take some type of maintenance medication. If you don’t qualify for your university’s health plan, or if your family needs a separate health plan, visit the New Hampshire Department of Health and Human Services to see if you and your family qualify for Medicaid. Their website has a wealth of information about the programs and services available to eligible applicants, as well as how to apply for them. You can also look for New Hampshire doctors who accept Medicaid clients to make sure you book an appointment with a professional who understands your medical needs and payment ability. Dental insurance premiums can be pricey, but you don’t have to forego dental procedures because you can’t afford to pay for them out-of-pocket. The Wentworth-Douglass Hospital Community Dental Center provides a variety of dental services (including dentures) on a sliding scale fee basis for patients who meet the required income threshold. To be considered, you must live in Dover, Durham, Madbury, Lee, Barrington, Somersworth, Rollinsford, Berwick, or North Berwick. Call 603-749-3013 to find out if you are eligible for their services and to make an appointment. Students from NHTI participate in a Dental Hygiene Clinic that provides them with the training and practical experience they need to pursue their professional careers after graduation. At the same time, they provide clinical and educational services to the community at large, including a variety of dental procedures performed at nominal cost to the patient. The clinic maintains a classroom/learning environment where learned and seasoned faculty practice beside dental hygiene students to make sure clients receive the best dental care possible. If your child already receives Medicaid benefits, you can find dentists under the New Hampshire Smiles program who can take care of your child’s dental needs without breaking the bank. Preventive dental care is especially crucial and helpful for young children, so don’t hesitate to contact the appropriate professional participating in this program. College life can be stressful, and students under stress do not perform their best academically. This is why practically every college or university in the country offers free counseling services. The University of New Hampshire offers the services of 11 psychologists, 3 post-doctoral fellows, and 3 doctoral interns to care for the mental health of their more than 15,000 enrolled students. But even a small New Hampshire college like Daniel Webster College (population: 650) offers 24/7 free counseling services for all their students. So, whether you need medical, dental, or counseling or psychological services as a student in the Granite State, there is always help available to keep you in school and physically and mentally fit. An increasing number of college students across the country are raising a child (or children) of their own while working toward their college degree. If you’re a parent and college student who needs help finding an affordable child care facility, visit the New Hampshire Department of Health and Human Services website. You may be eligible for a child care scholarship, which can help you pay for the services you need for your child. You can also find other information, such as reliable child care providers and facilities that cater to children with special needs. Download an application form from the website, complete it, and mail it to the district office that handles applications in your area. Some New Hampshire colleges have laboratory schools on their campuses that are affiliated with their early childhood education programs. They include University of New Hampshire, Dartmouth College, Keene State College, and Manchester Community College. While none of these child care facilities are free, dropping off and picking up your child (even popping in during a break between your classes) will be simple and convenient. Ask if they participate in any state-funded program for low-income families or single parents and see if you qualify. If you do, paying for convenient, quality child care does not have to take a big chunk out of your college budget. There are several local transit providers in New Hampshire that make getting around the major regions of the state simple. Some are even free of charge. For example, University of New Hampshire students can ride the Wildcat Transit for free simply by showing their student ID. The bus can be tracked online, so waiting time at the nearest bus stop is minimized. In the Upper Valley region, Advance Transit buses provide free transportation not only for students and faculty of area colleges, but for all commuters and residents. Visit the transportation office at your university to find out if they offer free shuttle services to popular nearby destinations. The New England College does, and other colleges likely do so as well. Along with shuttle services, some colleges have car pool options, bike-share programs, and Zipcar rentals at a discounted price for students. New Hampshire is a beautiful state – explore it. When you are skipping meals to stretch your college budget, it’s time to check out the resources at the New Hampshire Food Bank page. No matter where you may reside in the state, you will find a food pantry, thrift store, or soup kitchen that can get you over a temporary financial bump in the road. You can also find out if your income qualifies you for the Supplemental Nutrition Assistance Program (SNAP). Several Farmer’s Markets in New Hampshire now accept SNAP dollars. This means you can buy fresh, organic produce. You can apply for this program (as well as other state assistance programs you may qualify for) electronically. The cost of living in Manchester is typically higher than the U.S. average. While the figure is not as high as the cost of living in a city like New York or Boston, it can nevertheless pose a financial challenge to college students on a limited budget. Below are some places/organizations you can turn to when college life in Manchester gets overwhelming. The New Horizons for New Hampshire offers several services that may help you get back on your feet if you’re facing a temporary financial crisis. Find out from their website whether you can participate in their programs that include daily soup kitchens, once-a-month food pantries, emergency shelter, and free health care services. The New Hampshire Department of Health and Human Services maintains a Manchester office. Call them at 603-668-2330 or toll-free at 800-852-7493 to ask about the services for which you may be eligible as a Manchester resident. The YMCA in downtown Manchester has an Early Learning Center that offers financial help for qualified residents. Call them at 603-232-8651 to find out if your child is eligible for this benefit based on your income level. You can find more help by visiting the Manchester page of the Child and Family Service of New Hampshire. Some of their services include family and mental health counseling, early childhood services, and transitional living programs. Although long seen as a bedroom community because to its proximity to bigger and more affluent Massachusetts cities just across the border, Nashua has lately come into its own. Oracle, HP, and Lockheed Martin are now Nashua tax-paying companies. However, if you still find yourself struggling to live in Nashua while pursuing your college degree, there is help available. When there are still a few days left in the month and your food budget is depleted, turn to the Corpus Christi Food Pantry for help. You do need to call ahead. Their number is 603-882-6372. The Harbor Care Health and Wellness Center offers a sliding scale fee for self-pay patients. It accepts Medicaid, uninsured, and underinsured clients. Walk-ins are welcome, or make an appointment by calling 603-821-7788. When you need affordable dental service, call the Greater Nashua Dental Connection at 603-879-9314. They offer a variety of oral hygiene and dental procedures at significantly reduced rates. Additional programs and services can be found at the Southern New Hampshire Community Action Program website for Hillsboro and Rockingham counties. They have an emergency food assistance program and offer help with heating repair and replacement, rural transportation, and disaster relief and recovery. Although the cost of living in this capital city is on par with Manchester, it still enjoys lower prices when compared to other New England cities, such as Boston and Portland. When you’re working toward your college degree in Concord, you have access to a wide range of social services. Below are some of them. You might be eligible to receive benefits from The Emergency Food Assistance Program (TEFAP), which is administered through food pantries across New Hampshire. There’s no need to go hungry when you’re working toward your college degree in Concord. The Friendly Kitchen welcomes everyone who needs a nutritious hot meal to get them through the day. Caring volunteers serve all guests without question or qualification. Contact the CATCH Neighborhood Housing if you need help finding affordable apartments in Concord. Formerly known as the Concord Area Trust for Community Housing, this organization has been helping Concord residents locate ideal rental dwellings since 1989. This list of services is by no means complete. You can find more helpful programs in Concord by visiting the Community Action Program Belknap-Merrimack Counties, Inc. website. They manage more than 70 programs designed for children, young adults, single parents, and families in need.